BeLiminal is an interdependent ecosystem of experts in lean, agile and systems coaching. We are brought together by a desire to see real human potential and engagement at work in organisations. We believe that the right processes, carried out by people who are empowered and focused, can dramatically improve businesses. We work with you through mentoring, coaching and training to help identify the approaches and implementation patterns that will amplify your business agility and sustainability. Since 2005, his focus has been on helping clients improve their business and delivery agility, and develop leadership at all levels. Dragan’s main area of interest is organisational agility and its implications for product development, portfolio management, business strategy, and workplace culture. Susie has over 15 years’ experience as Senior Project Manager/Programme Manager and Business Consultant, focusing on multi-channel ecommerce, digital, social media and software development projects. She has worked across the Retail, Entertainment, Media and Travel sectors for many blue chip organisations. Susie has worked on multiple Scrum projects as a Scrum Master and is experienced in leading and facilitating agile teams. With strong leadership and management skills she is engaging, inclusive, dynamic and hands-on. Susie now manages all project and operational aspects for BeLiminal. One of a handful of UK Certified Enterprise Coaches with the Scrum Alliance, Zia has been guiding organisational change through a holistic coaching approach since 2008. Zia is passionate about developing people and organisational culture using his expertise gained across multiple Agile transformation programmes to naturally evolve organisations through continuous improvement. Zia is a very experienced Agile trainer and a Certified Scrum Trainer, passionate about creating a learning environment through expert facilitation, learning games and visualisation. Zia is a professionally trained coach in business and personal coaching, accredited to Professional Certified Coach (PCC) by the International Coach Federation. Zia has extensive experience within a variety of industries including, FinTech, Aerospace, Pharma, Retail, Media, logistics to name a few. All this with an established foundation of knowledge gained over 14 years experience in industry. Tom has a proven ability to guide teams and organisations on their agile journey and a proven track record of success delivering scalable, enterprise software to major blue chip clients. 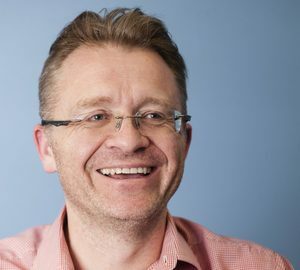 Using Scrum, Kanban, Relationship Systems Coaching, Co-active Coaching and other supporting agile practices Tom works with teams and organisations to deliver better outcomes for themselves and their customers within a respectful, open and trusting environment. Tom believes that to be truly agile it is far more than just adopting a particular framework or process., You have to wholeheartedly embrace change, inspect and adapt everything you do, and be prepared to try and fail on the way to your goal. You must embrace your teams, trust them completely, and create an inclusive environment that fosters trust, courage and transparency, whilst maintaining a sustainable pace at which they can work. You must fully adopt an agile mindset and only by doing this can you hope to become truly agile. 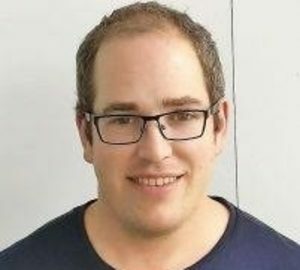 Since 2004 Matt has been using his breadth of experience to assist clients apply Agile techniques to projects, programmes and organisations. As a trainer Matt is passionate about facilitating learning through experience and simulations, ensuring participants both understand agile concepts and have fun whilst learning. In addition to providing both bespoke and certified Scrum Alliance training courses, Matt spends much of his time working with clients coaching them on a range of topics including; executive personal coaching, relationship & team coaching and helping teams to improve their delivery success using Agile principles and techniques. Within the Agile community Mark is a leader on Agile Coaching, facilitating coaching clinics at conferences, organising coaching retreats across Europe, and mentoring other coaches. Mark is a professionally trained coach in business and personal coaching, accredited to Professional Certified Coach by the International Coach Federation. John loves seeing individuals, teams and organisations become the best they can be. He does this using a mixture of coaching approaches embedded with the agile mindset. He spends most of his time supporting organisations to descale and self-organise relying heavily on his Systemic Coaching approach along with training the fundamentals of agility through the LeSS framework. John has worked mainly in the financial sector in the last few years helping break down some of the frustrations when working in a heavily regulated and distributed environment. His passion for the London agile community is clear and he can often be found at meetups around the city looking for new ideas to try and experiment with. In his spare time John has a love for Martial Arts, achieving a black belt in both Taekwondo and kickboxing, as well as looking after his 3 amazing children. Pete is a Certified Leadership Agility 360 Coach providing one-on-one 360 assessment, development and guidance for increasing awareness and agility of organizational leaders. He became a Changewise 360 Leadership Agility Coach in 2009. Pete is a Certified Enterprise Coach (CEC) and a Certified Scrum Trainer (CST) engaging with organizations to improve team alignment and delivery. Pete developed the CEC Program for the Scrum Alliance in 2007 and became a CST in 2006. 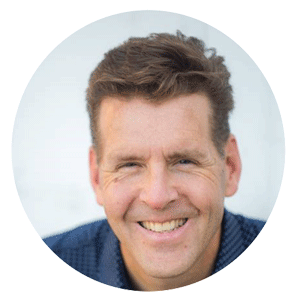 Pete is the founder & Managing Partner of Trail Ridge Consulting, a co-creative coaching partnership building sustainable and healthy organizational agility. Their holistic framework-less agile scaling approach guides dozens of sustaining and healthy agile practices globally. He founded Trail Ridge Consulting in 2005.